In January we received a donation of 600 plus pounds of bottom and top round steaks from UNL. This meat is raised and butchered by UNL students, then frozen and stored in their freezers---the entire process is inspected by USDA. Each frozen package is around 1 to 2 pounds of steak. Hunger relief teams are more than welcome to use this beef. Suggestions for a meal could include Swiss steak, beef stew or soup, steak fajitas or chili. Contact Sydne at 402-817-0622 or email to sydne.wirrick-knox@mtko.org if you would like to reserve any of these steaks or would like recipe ideas. 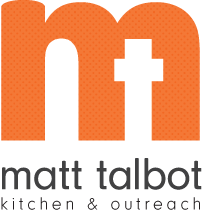 We are excited to provide recipes in this section of our website to encourage and inspire healthy meals for the guests of Matt Talbot. Each recipe serves 150 meals and includes the amount of calories and sodium per serving. Modifications to original recipes are made to increase nutritional content and decrease calories and sodium. If you have any questions, please contact Sydne at sydne.wirrick-knox@mtko.org or call 402-817-0622. Happy meal planning! 1. Cook and stir ground beef until crumbly and evenly browned. Drain off excess fat. 2. Stir carrots, celery, and onion into ground beef, cook and stir until vegetables are soft, about 5 minutes. Add potatoes, tomato sauce, diced tomatoes, frozen mixed vegetables; season with black pepper. Stir mixture until evenly mixed. Add thyme and bay leaf. Add water, replenishing as needed while cooking. 3. Bring soup to a simmer, place a cover on, and cook, stirring regularly, until potatoes are tender, about 1 hour. Remove bay leaves before serving. STRIVE Program: Jump on Board!